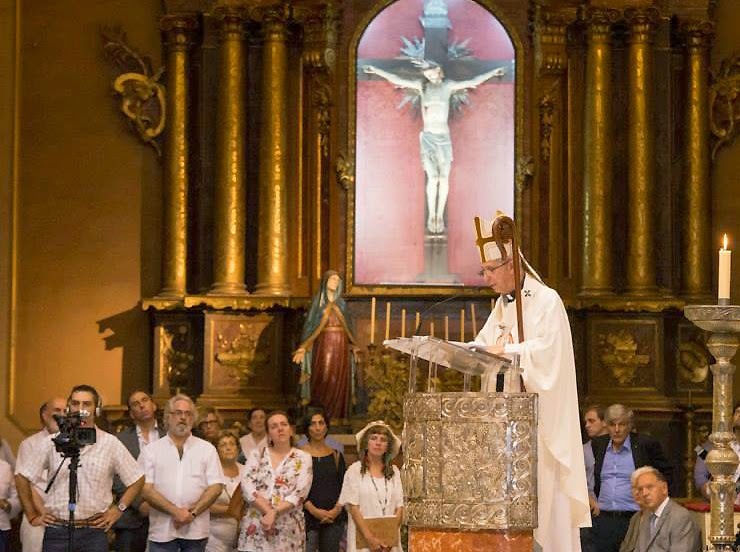 The Cathedral of Buenos Aires held a Mass presided by the Archbishop of Buenos Aires and Primate of Argentina, Cardinal Mario Aurelio Poli, in commemoration of the Armenian Genocide on Thursday 19 March. The Archbishop of the Armenian Apostolic Church in Argentina and Chile, Monsignor Kissag Mouradian, also attended the ceremony. Poli compared San Jose, father of Jesus, with the Armenian people, who wait patiently the justice for the genocide after one hundred years and said that "all Christians share the pain" caused by the Turkish state. The speakers recalled that Pope Francis would celebrate a Mass in St. Peter's Basilica on April 12 at the Vatican, while Mouradian said that the beatification of the martyrs of the genocide will be held on April 23 in the Holy See of Etchmiadzin, something that would serve as a "spiritual recognition" of the 1,500,000 martyrs.